Oslo has undergone a transformation, which started with the opening of the new Opera House and regeneration of the now cosmopolitan waterfront. Still paying homage to its maritime roots the city blends old with new whilst blending with the surrounding fjord, hills and forest. Don’t miss the Viking Ship Museum or the Vigeland Sculpture Park. Situated in the deepest part of the Aurlandsfjord and surrounded by steep mountainsides, cascading waterfalls and deep valleys, Flåm is a perfect place to pause and soak up the atmosphere of this idyllic location. There are walks to suit all and the Flåmsbana museum is well worth a visit. 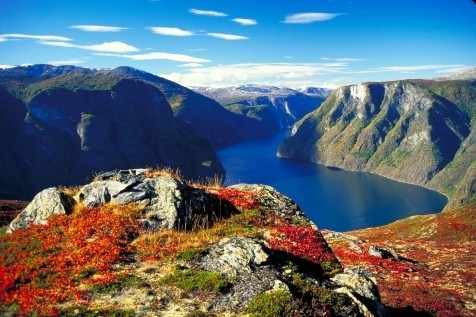 Situated in the heart of Fjord Norway, this charming Hanseatic harbour town nestles in the embrace of its seven mountains and a lattice of fjords. Bryggen, the medieval quayside, and Troldhaugen, the home of Edvard Grieg, are probably the best known attractions. The view from the top of Mount Fløyen on a clear day is breathtaking. Fly to Oslo and self-transfer to your chosen hotel for 2 nights. We recommend the Clarion Collectin Hotel Bastion (standard) or The Thief (superior). Explore the capital. Stroll along the regenerated waterfront. Walk on the roof of the architecturally acclaimed Opera House. Delve into Arctic Polar expedition history with a visit to the Fram Polar Ship museum or visit the Norwegian Folk Museum. 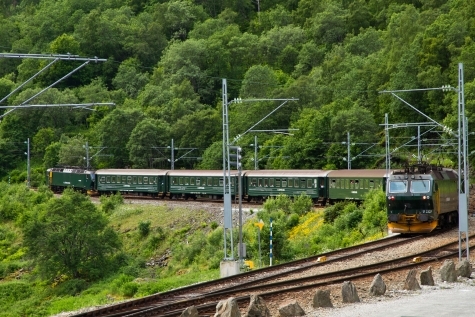 Depart on the famous Oslo – Bergen railway, travelling as far as Flåm, where you break your journey for an overnight stay in this charming village. 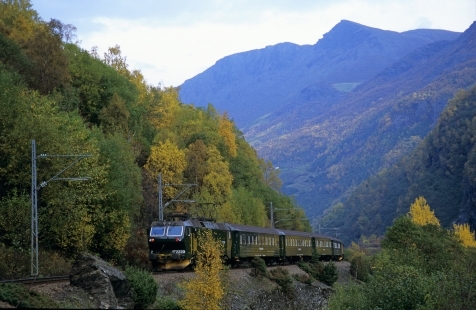 Take a leisurely walk through the hamlet, browse the Flåmsbana Museum and replenish your batteries with some fresh mountain air. A spectacular panorama can be experienced from the Steigestein viewpoint. Overnight at Flåmsbrygga Hotel (standard) or the Freitheim Hotel (superior). There are plenty of attractions in this Hanseatic town. Bryggen, Mount Fløyen and the fish market all contribute to this colourful and lively destination. Morning at leisure before transferring to Flesland Airport, Bergen for your return flight back to the UK. The Clarion Collection Hotel Bastion is located just a few minutes walk from Oslo’s central station, the fashionable shopping district of Karl Johan avenue and the cosmopolitan Aker Brygge district. This boutique style hotel has a wide choice of modern and charming rooms, all with a Scandinavian twist and some with views of the Opera House and harbour area. The hotel offers complimentary afternoon waffles and a light evening buffet supper served from 18.00-21.00 daily. 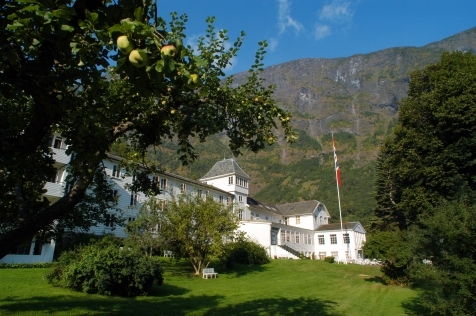 The Flåmsbrygga Hotel is located as close to the edge of the Aurlandsfjord as one could possibly get. A character filled property with 41 rooms, 38 of which have a fjord view and balcony. The Flåmstova Restaurant is a warm, rustic retreat serving the best of locally sourced products with a modern Norwegian twist. The adjoining Aegir Brewery reflects a Viking heritage with a 9m high fireplace and delights in pairing its locally brewed beer with both its menu and that of the Flåmstova. This newly renovated property has quickly become one of our favoured properties in Bergen. The traditional red brick façade hides a smart, modern hotel, ideally located just metres from Bergen’s famous ‘Bryggen’ and a short walk from the Fish Market and Fløybanen. The well-equipped rooms all have private WC/shower, mini-bar, Bose music system and 48” smart TV, as well as exceptionally comfortable beds. 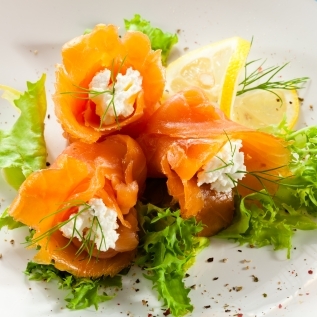 An extensive Scandinavian buffet breakfast is included and served in the bustling breakfast room. As well as a lobby bar, there is a comfortable guest lounge where you can relax after the day’s sightseeing and enjoy the complimentary Nespresso coffee.